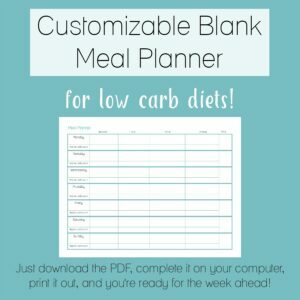 Here are my favorite online resources for buying low carb supplies! 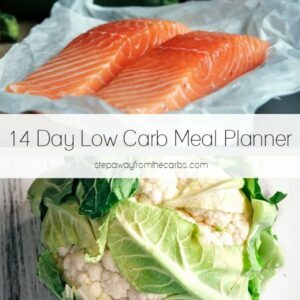 If you’re new to a low carb diet (or perhaps need a helping hand to get you back on track! 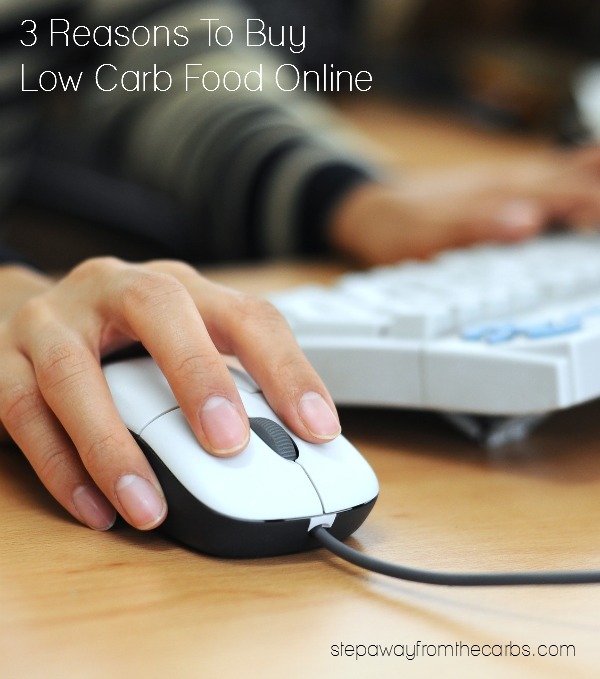 ), finding quality low carb products can be a minefield. Here I have listed some of my favorite go-to products from around the web, plus links to online retailers for low carb supplies in the US, Canada and the UK. 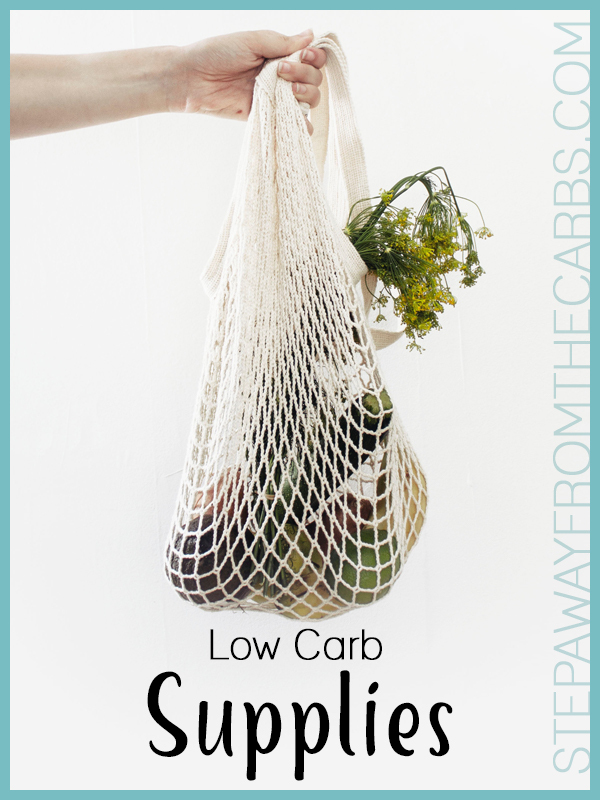 You might also like to check out my Low Carb Shopping Guide! Low Carb Baking: For pancakes, waffles and more, check out LC Foods – they offer fresh baked goods as well as all kinds of mixes! Low Carb Barbecue Sauce: You have to try the Guy’s brand! Lots of different varieties, too! Low Carb Bread & Bagels: Treat yourself to some of the amazing products from the Great Low Carb Bread Company! Low Carb Candy: Atkins Nutritionals make a huge range of low carb sweet treats – the chocolate candies are *almost* as good as M&Ms! Low Carb Chocolate: There are many available but two stand out: Lily’s Sweets, and ChocZero. Low Carb Ice Cream: They can be hard to track down, but look out for Breyer’s CarbSmart, Arctic Zero, and HaloTop – which I think is the best! Low Carb Ketchup: Walden Farms make a great zero carb ketchup, but the Reduced Sugar Ketchup from Heinz is also awesome! Low Carb Noodles and Rice: I’m a huge fan of Miracle Noodles – most products are zero carb! Low Carb Nutella: I compared three low carb hazelnuts spreads – pick whichever one sounds best to you! Low Carb Sweeteners: I usually use xylitol or Swerve. If I’m making drinks then I’ll use zero carb Da Vinci Sweetening Syrup or liquid Stevia. Low Carb Wraps: I have a full review of tortillas, but my current favorite is the 3g net carbs tortillas from Mission. Fresh baked products, savory essentials, baking essentials, sweet essentials and lots more! 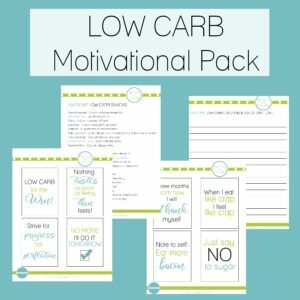 Tons of low carb products here including baking mixes, sweeteners, snacks, candy and more. Amazon offers a surprisingly large amount of low carb products – often with free shipping. Prices are often better when buying in bulk. Check out my Amazon store page – with my personal selection of products – and my comments about why I recommend them! Awesome bulk deals on fantastic steaks and other meat! As well as featuring every kind of nut you can imagine, they also stock loads of herbs, spices, and dried fruit. Everything comes in generic packaging but quality and price is great! This famous low carb company offers meals, shakes, candy and snacks. Originally a low carb bread manufacturer, this company also stocks low carb protein bars, snacks, noodles and more. Search the site’s “paleo” section to find lots of low carb goodies! 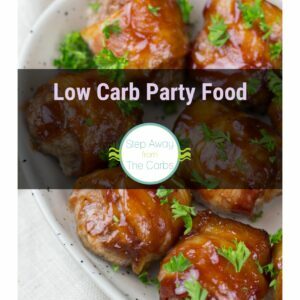 A huge range of low carb products! Muffin mixes, pizza base mixes, pancake mixes – and much more! Full range of snack bars, bakery items, condiments, pasta alternatives and more. Plus they have bulk buy offers too! This was my go-to website for supplies when I lived in the UK! Confectionery, meals, bakery, snacks, drinks, gifts and more. The Atkins shop for the UK. Bread, pizza, muffins, cereal, baking mixes and more! Atkins products, vitamins, and more. Sugar free and low carb products like donuts and muffins. Are you looking for low carb books? I have some great reads for you! Use a company that’s not featured? Let me know and I’ll add them!